With the Santorini family beach shelter, Outdoorer has developed comfortable accommodation for the day at the beach. It’s big enough for two adults, their children and all the beach gear. 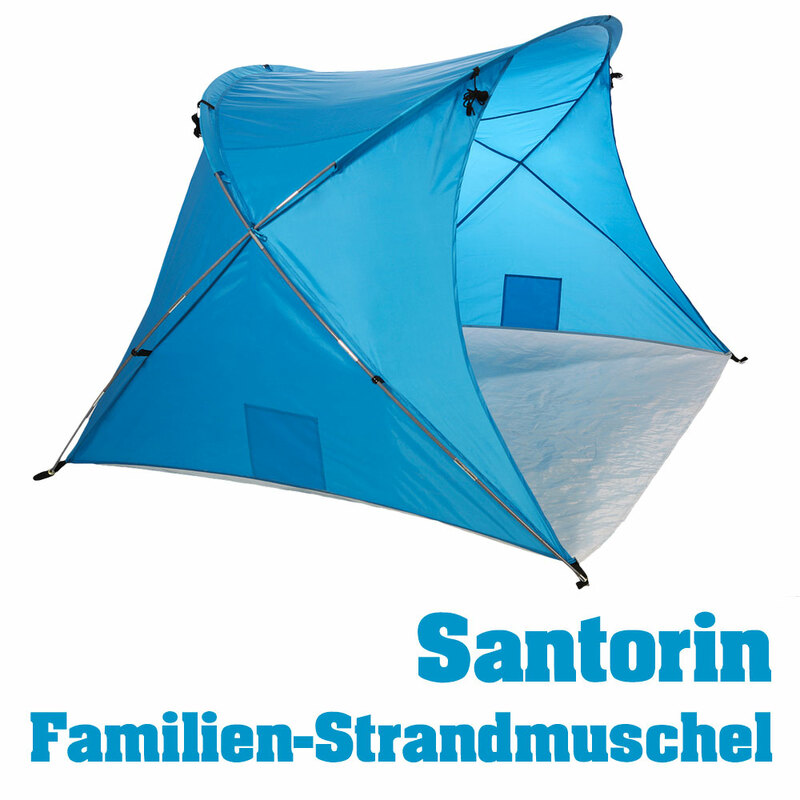 The Santorini beach shelter has a very small pack size of 43 x 11 x 12 cm. As a result, it is also perfect to take along on holiday, because it can be quickly stowed in the boot. When set up, it is 230 x 150 x 125/107 cm. You and your family will have plenty of space. Outdoorer use only high quality materials for the Santorini family beach shelter. The tent itself is made of durable polyester with a durable PE base. Even small stones can not damage the base. The linkage mounts and the transport bag are both made of tear-resistant Oxford polyester. Outdoorer attaches great importance to high quality and safety when it comes to sun protection. You should be able to enjoy a fun day at the beach without coming home with painful sunburn. 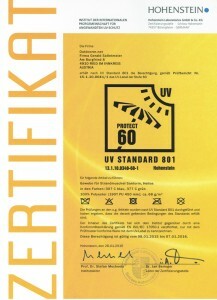 With the Santorini family beach shelter, the sun protection factor is UV 60 according to Standard 801. This has been certified by the well-known Hohenstein Institute in Germany. The Santorini family beach shelter also provides superb protection against the wind. You only need to set up it against the wind and that will be the end of your problems with wind and drifting sand. The unbreakable transversely-reinforced special fiberglass poles keep the Santorini beach shelter firmly in place even on tougher bases. The beach shelter is secured by guy ropes and pegs. For very fine, sandy soils Outdoorer recommends the use of sand pegs Sandfortress. These are 30cm long and made in a V-shape. Thus they give better grip in sand. Small items quickly become hidden under the towels and then you often need to spend time searching for them. 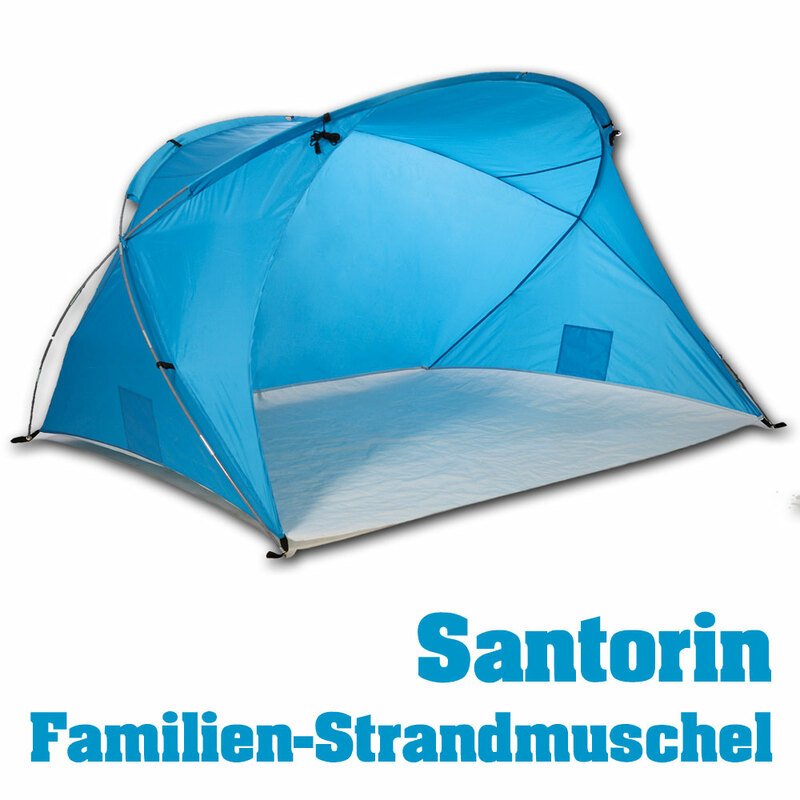 With the Santorini family beach shelter, this will not happen any more, because it is equipped with two side pockets for storage. Sunglasses, magazine or similar will find a good home in them. The Santorini family beach shelter is quick to set up, so that you can get on with enjoying your day. You only need to put the rods through the mounts in the beach shelter and plug in the provided eyelets at the end. Everything is secured with guy lines and pegs. A manual is included. The beach shelter is 125 cm high at the front. Thus, it is high enough to allow you to sit upright comfortably. At the back, the height is still 107 cm. Where to buy this big family beach shelter? 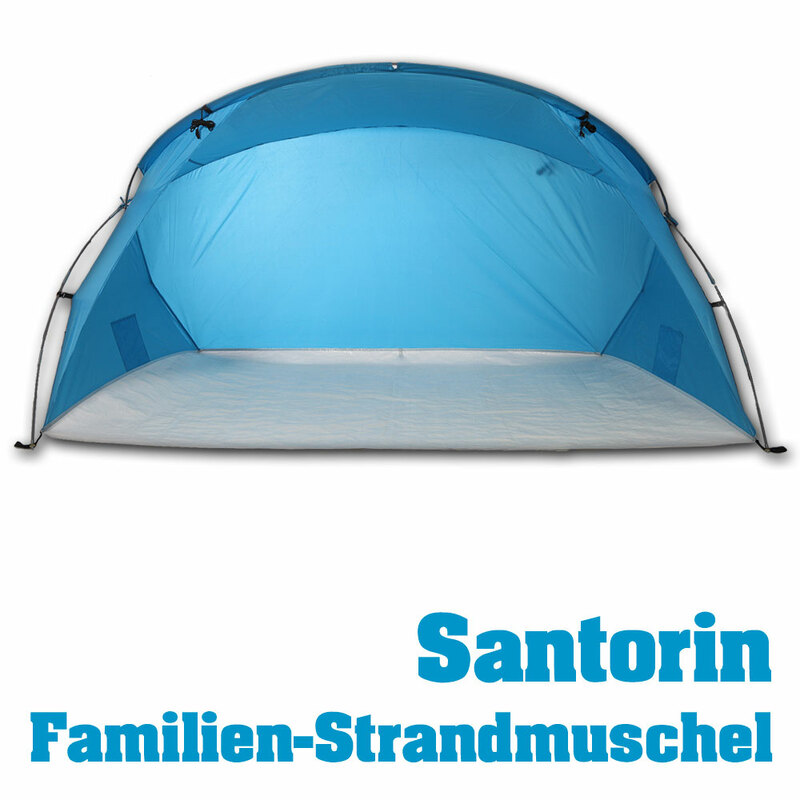 You can buy the Santorin family beach shelter on Amazon.